The Delhi High Court on Monday allowed Chief Minister Arvind Kejriwal’s plea calling for two DDCA documents in connection with a defamation suit filed against him by Union Finance Minister Arun Jaitley. It was made clear by Justice Manmohan that the court was allowing the plea to summon only two documents – dated February 10, 2003, and April 6, 2003 – with which Jaitley can be confronted during his cross-examination. Earlier, the Joint Registrar, before whom Jaitley’s cross-examination in the case is going on, had directed Kejriwal to wind up the cross-examination on 12 February itself. The high court declined Kejriwal’s plea to summon the entire minutes of meetings of the DDCA concerning the period between 1999 and 2013, when Jaitley was the cricket body’s president. The court observed that it could not understand how the minutes of the meetings were relevant to the defamation suit. Besides this, Kejriwal had given no grounds for summoning the details. 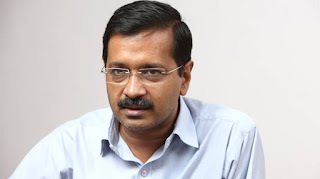 The court asked Kejriwal to file a proper application in two days with regard to the documents allowed to be summoned.The high court’s ruling came on the plea of Kejriwal filed to challenge the Joint Registrar’s order dismissing his plea to summon the minutes of meetings of the DDCA and the other two documents. TNPSC News Portal is created to provide complete information on all the big event occurring in the Tamil Nadu state.It will give you information on Govt Jobs, Entrance Test, Hall Tickets, Results, Answer Key etc. You need to follow the relevant article as well as official links to check the concerned details.